This chart shows the most commonly used wall mounted pneumatic thermostats. Two pipe single temperature, day/night, and summer/winter stats can be selected from the chart. 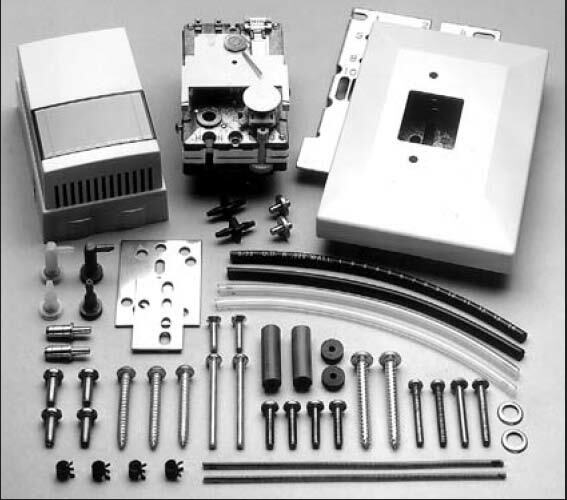 Universal conversion kits are also listed for fast and efficient replacement of obsolete thermostats. 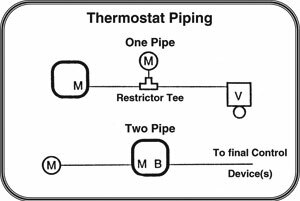 Thermostats can be easily interchanged between manufacturers. We carry a large assortment of what ever brand you choose. Make your selection yourself or with our help. Cover not included— purchase separately. 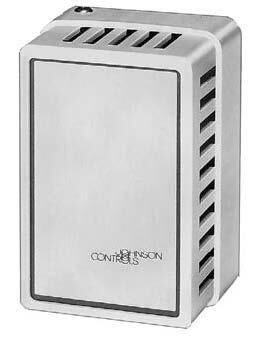 Compact Robertshaw Pneumatic Thermostats are an economical alternative to the high prices of other major brands. Where cost is a major factor, rely on Robertshaw’s full assortment of pneumatic thermostats, adapters and accessories. Barber–Colman’s full line of pneumatic thermostats is one of the most comprehensive available. Known for the most flexible electronic line on the market, rely on Barber–Colman for all of your temperature control needs — pneumatic, electric, electronic and direct digital. For years, Powers has maintained a fine reputation for top quality. Their comfort controls are built and tested to the same standards as their Industrial grade process controls. Powers has a full assortment of pneumatic models for exact replacement or competitive substitution. There are more Johnson pneumatic controls installed in the U.S.A. than any other brand. For replacement of new or old pneumatic models, rely on NECC’s extensive data base for the help you need. Replacing thermostats is simple. If you don’t regularly service your pneumatic system, start with thermostats. 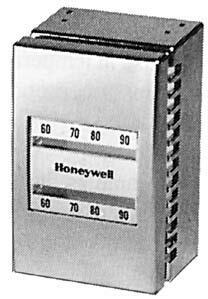 Honeywell, one of the oldest and best known controls companies is available in a full assortment of temperature control options, older models can be directly upgraded with a modernization kit. If cost is a consideration or if you just like the quality of the older models, you might want to consider an NECC rebuilt stat. See our repair page to find your options. Use a Pneuline Universal Replacement Kit and Save! Get familiar with installing and calibrating ONE SERIES of stat. Replaces MOST old style pneumatic stats. ELEVEN models to choose from. ALL parts are in ONE BOX. Day/Night – Heat/Cool – With changeover pressures set to directly replace Honeywell and Johnson. LOOK AT ALL YOU GET IN THIS KIT… ALL YOU SUPPLY IS A SCREWDRIVER! THE “D” STAT — THE LAST OF THE BRASS! 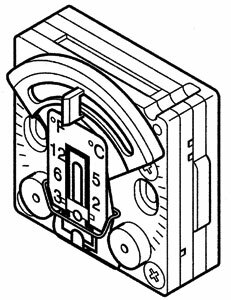 With the advent of the current mini-style pneumatic thermostats the old, reliable Powers “D” stat represents the last examples of the way they used to build them. They’re expensive, but they will work and take abuse like none of the others currently available. They will long outlast any of the current “new style” mini thermostats. 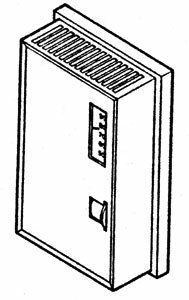 While the “D” Room Thermostat is primarily designed for control of individual rooms heated or cooled by radiation, ventilation or an air conditioning system it is very versatile. Other applications include room control of radiant panels, finned radiation, and unit ventilators. 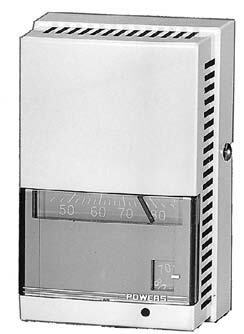 The TH832 “D” Room Thermostat is a gradual acting pneumatic instrument recommended for room temperature control in heating and air conditioning applications. Among the outstanding features of the “D” thermostat are its rapid response to temperature change and its unique design which prevents a constant waste of air.constant waste of air.